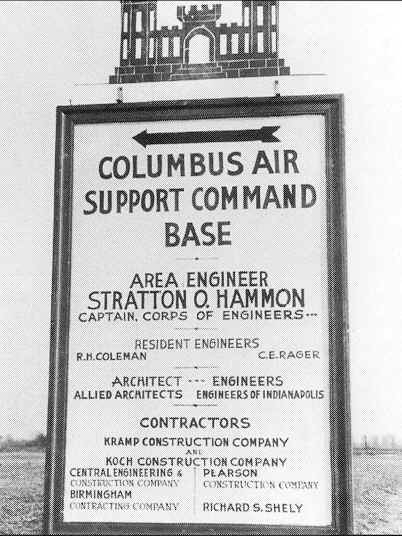 The air base went through many name changes from its start as the Columbus Air Support Command Base to Atterbury Army Air Field in 1943, until the base closing in 1946. 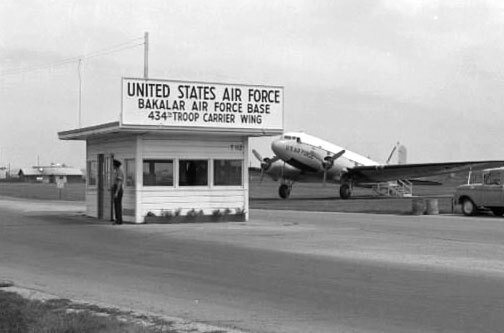 The base reopened as Atterbury Air Force Base, then renamed Bakalar Air Force Base October 1954. In 1972, the base was renamed Bakalar Municipal Airport and later became known as Columbus Bakalar Airport. 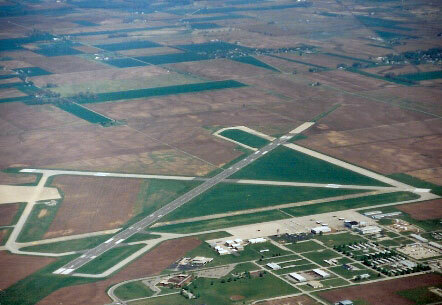 In 1981 Bakalar was dropped and the name became Columbus Municipal Airport. 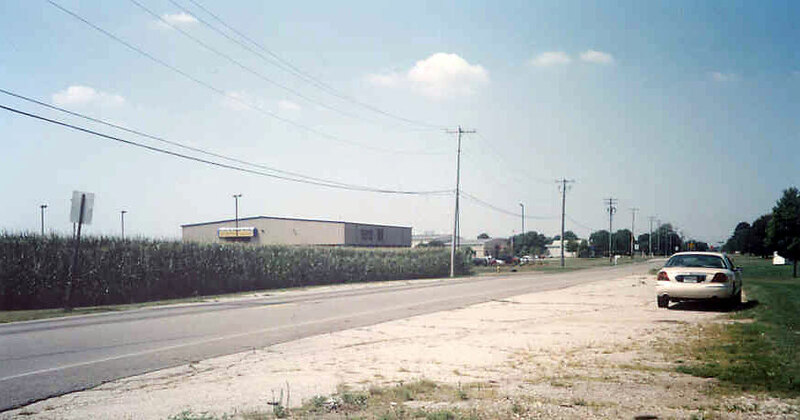 Columbus Municipal Airport former base, 1990s. Columbus Indiana Municipal Airport. 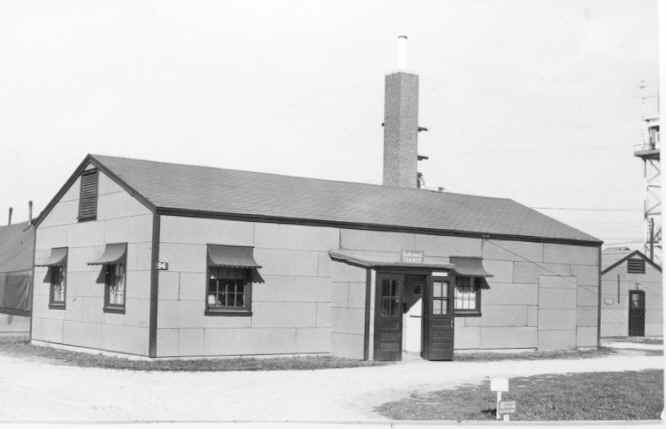 Few of the original Air Force buildings exist. 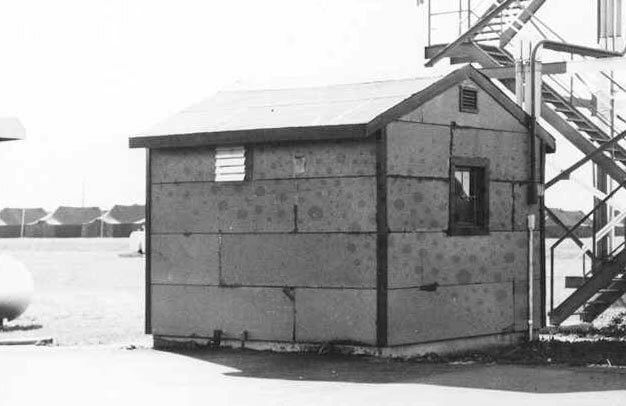 Bakalar Air Force Base buildings were inventoried and photographed in a 1955. Many of these photo are from that time. 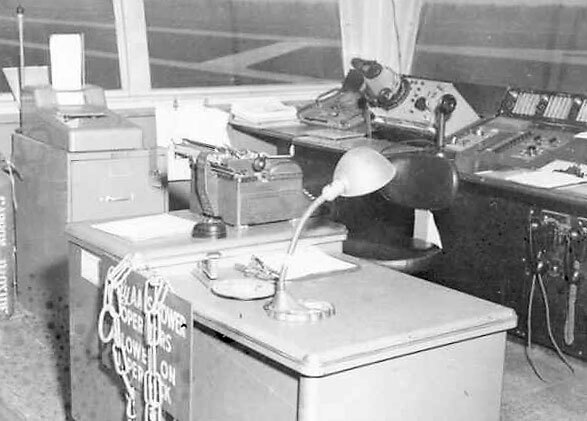 Airman First Class Gale A. Beamer in a late 1950s photograph in the Bakalar Control Tower. 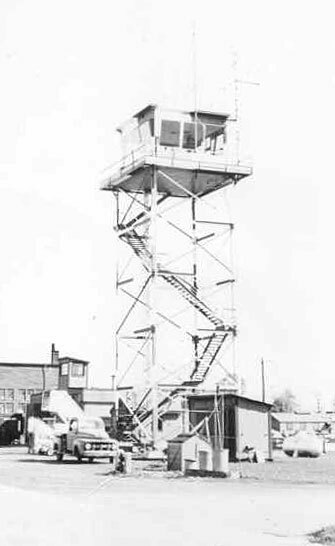 During winter, 1963, a mobile control tower was used while the regular control tower underwent repair and renovation. The control tower was refloored and rewired. 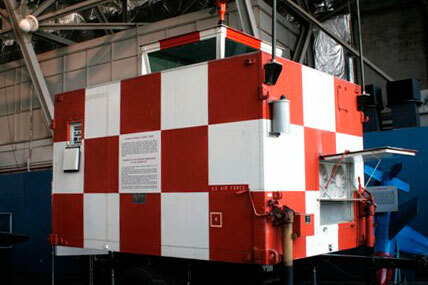 The mobile unit was a scarce item in the Air Force stockpiles and was obtained from the11th Mobile Group's Detachment 7 at Edwards Air Force Base in California. 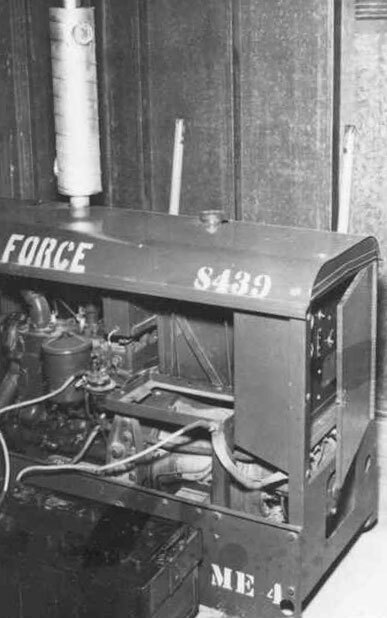 It was flown to Bakalar Air Force Base by the 434th Troop Carrier Wing on a C-119G Flying Boxcar. 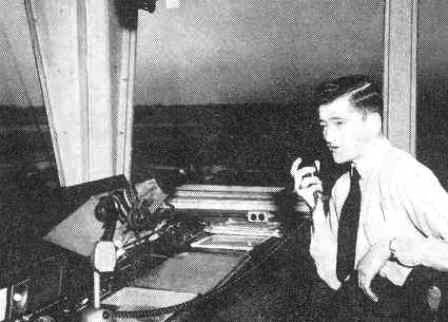 Local members of Detachment 1, 1951st Air Force Communications Squadron found out was not equipped with a heater. 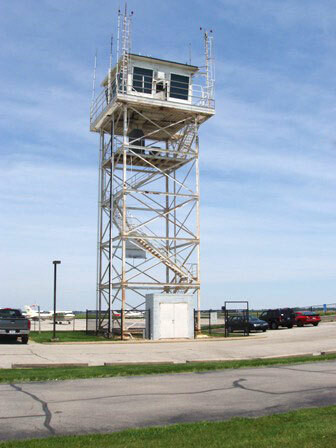 The tower rewiring work was done by Air Force personnel of the Major Depot Assistance team at Bunker Hill Air Force Base (now Grissom Air Reserve Base) near Peru, Indiana. The photo was taken in 1981 and the tower is still in its red and white checkerboard paint design. Museum volunteer Gordon Lake in a 1981 photo with a P-38 and C-46 aircraft in the background. This was the last time those classes of vintage aircraft visited the former air base. 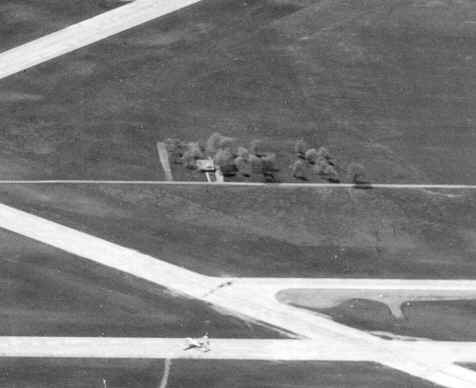 Columbus Airport hosted the largest air show ever held in Columbus during the summer of 1981. The CAF had just about every type of War Bird flying at the show. 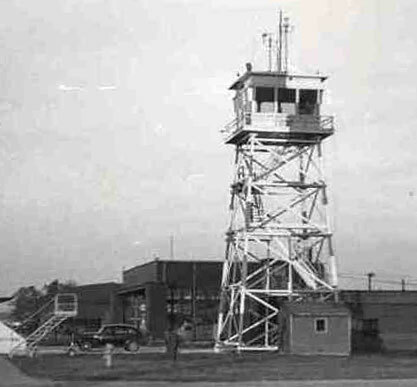 The wooden control tower photo in a 1940s photo and one in a late 40s or early 50s photo, actual date unknown. 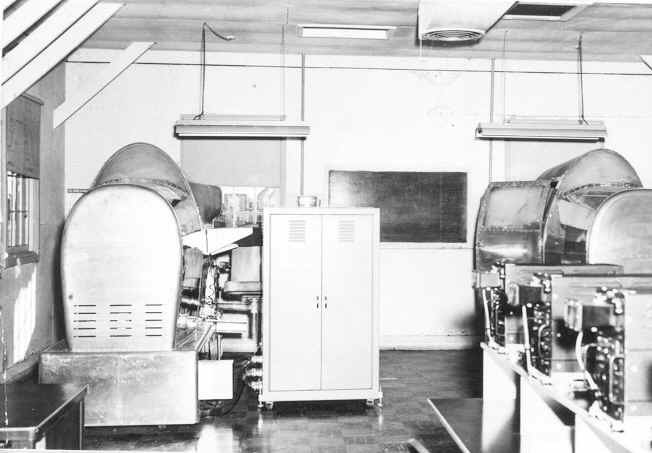 Below, a photo from the James Landrum collection, dated 1954. James is the one on the left in this photo. This shows both the new steel tower construction and the wooden one in place. This is the only photo we have of both towers in the same photo. 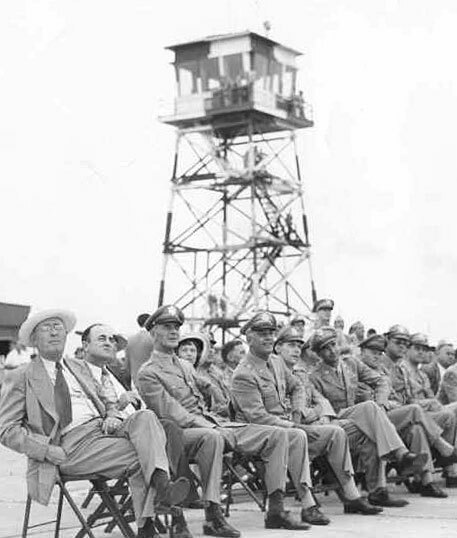 Allan Hammons from Greenwood, MS, a researcher of Army Air Fields, helped us with the background of AAF construction information about wooden and metal towers. 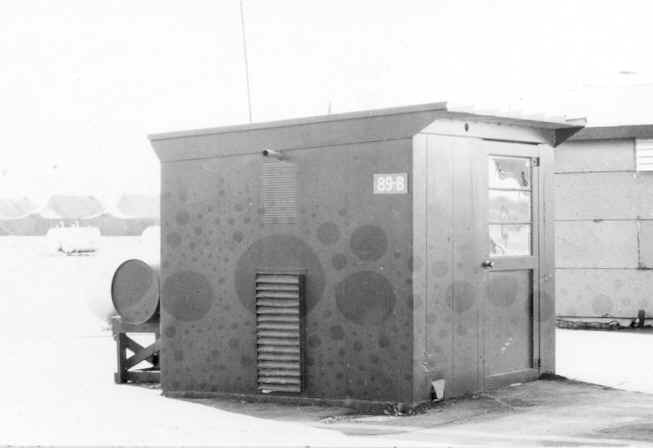 T89A Auxiliary Power Plant - note the troop tents to the rear of the photo. 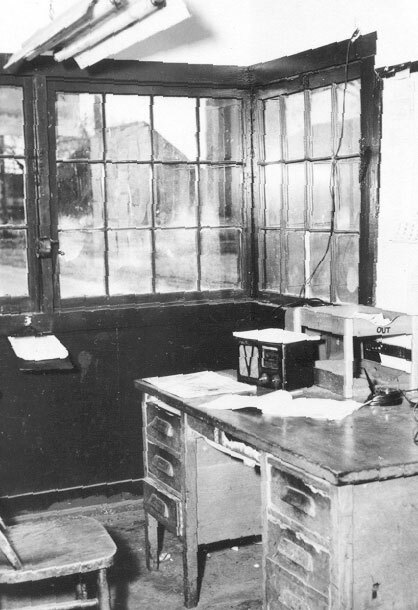 Base Headquarters Building and typical interior set up. Officers Mess Hall and interior view. 434th Training Weekends: Saturday: Breakfast: 0500-715, Dinner: 1100-1115 Early Dining, 1130-1230 Regular Dining, Supper: 1600-1615 Early Dining, 1630-1730 Regular Dining. Buildings T1,2,10,12,14,15,20 &21 style Officers Quarters and interior view. 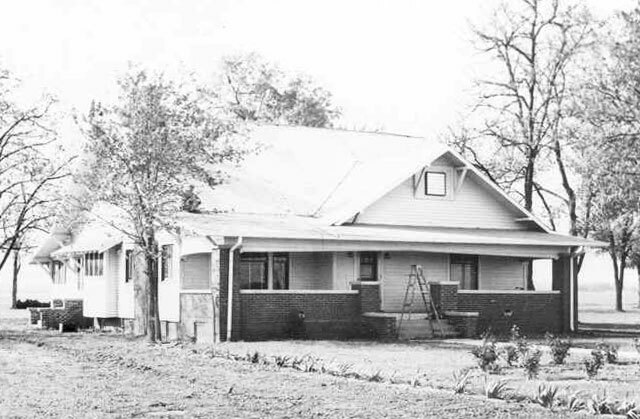 During the late 1950's building #12 served as the base Nursery for children of 6 months and older. This nursery service was for special events at the NCO Club, Officers Club and Bingo Night. There were no charges for this service. Building T100 Base Theatre and interior view. 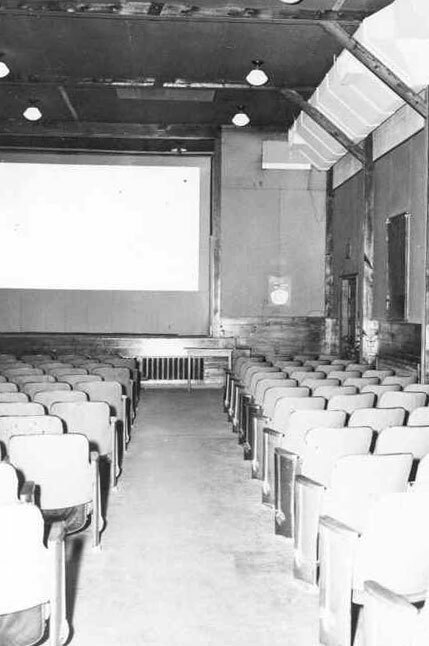 From the Base Directory and Guide of the late 1950s: Theater: The base theater, building 100, offers cinemascope as well as standard screenings. There is a single showing at 1900 hours on Tuesday, Thursday, and Saturday, as well as Reserve Training Sundays. Admittance is 25 cents for adults, and 18 cents for children under 12. Building T112 Base Security Gate and interior view. Another photo of the gate taken in 1958. Note the snazzy 1948 Crosley automobile. 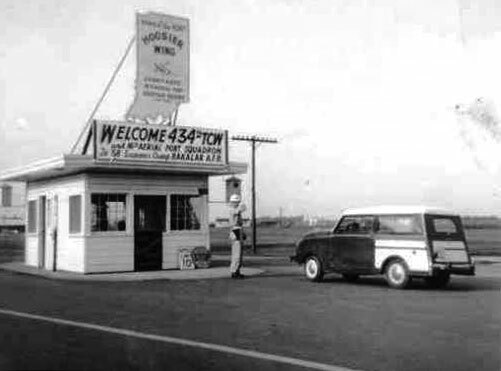 At one time a C-47 aircraft sat at the gate as seen in this 1960s era photo. A current day view of where the Base Security Gate used to sit. Ed Kuehling was the owner of this 1948 Crosley automobile being waved through the base gate above, during the Annual Training of 1958. 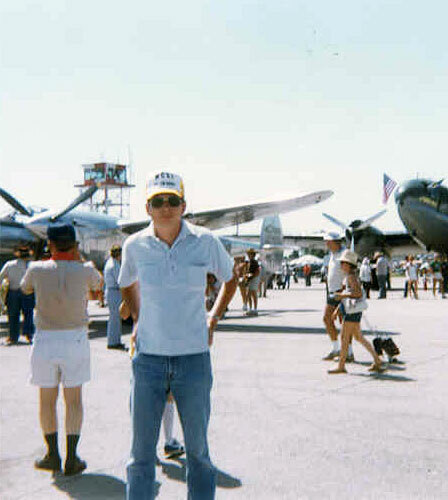 Pictured is Ed at the museum attending the August 22, 2009 434th Troop Carrier Wing reunion at the former Bakalar Air Force Base. 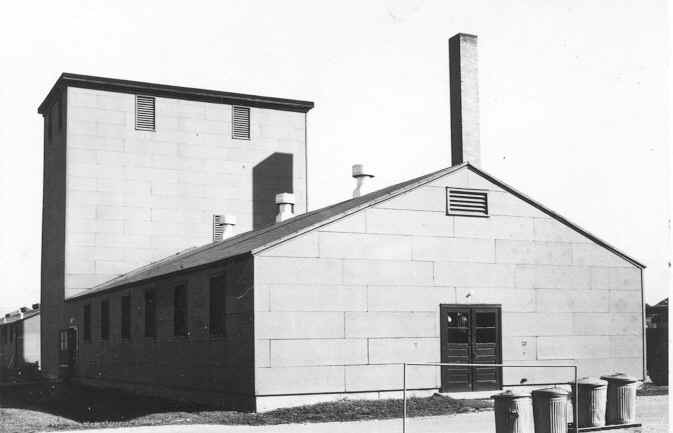 Building T131 N.C.O. Club and interior view. Check out the jukebox. 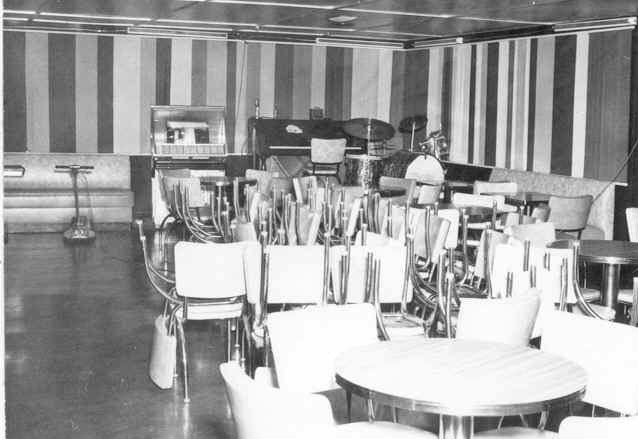 NCO Club Zebra Room, featuring cocktail furniture, indirect lighting, a 27" TV set, wall-to-wall carpeting, and a large fireplace, was a popular place with the non-commissioned officers according to the Bakalar Air Force Base Directory and Guide, circa 1957. 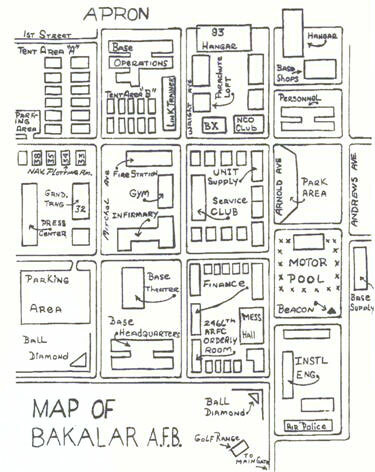 The NCO Club was located near the BX. The BX was in building #97 along with the snack bar. 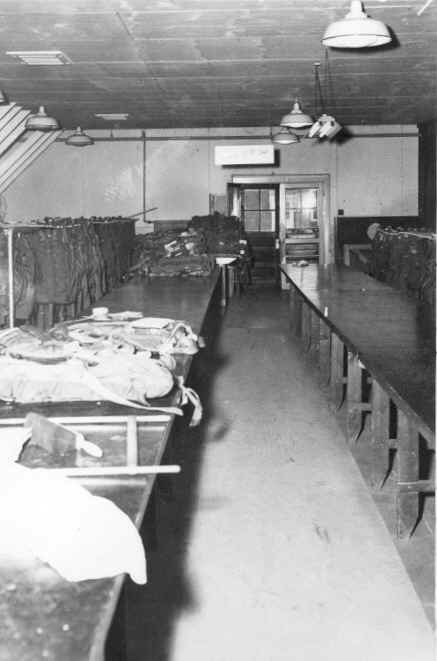 The Service Club was in building #77, which had free coffee and doughnuts served every Sunday morning between 0900 and 1000 at a special "Coffee Call." 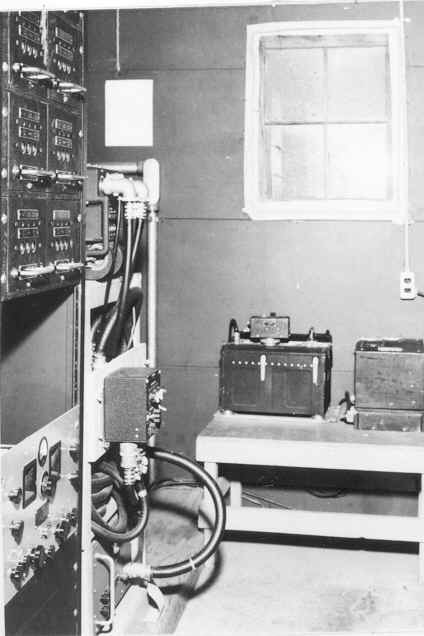 T89B Control Shed RW Lighting and interior view. Building T94 Synthetic Training building and interior view. T96 Base Parachute Shop and interior view. 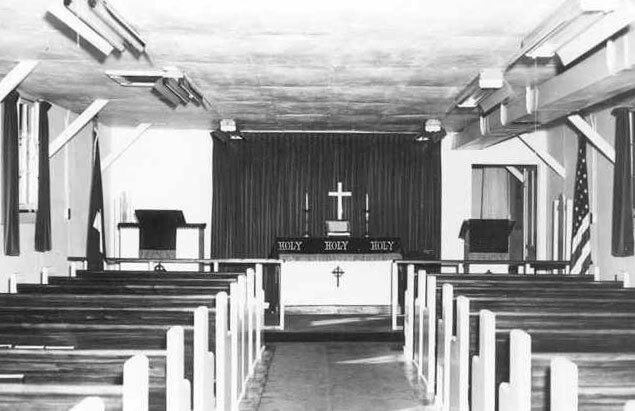 Building T48 Base Chapel and interior view. 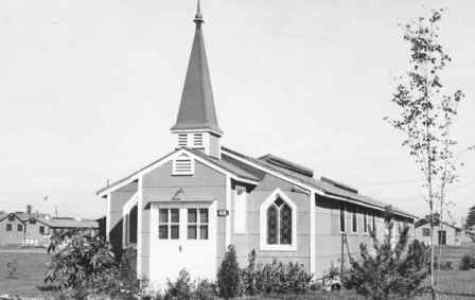 The Jeanne Lewellen Norbeck Memorial Chapel is now part of the Atterbury-Bakalar Air Museum-Bakalar Green complex. 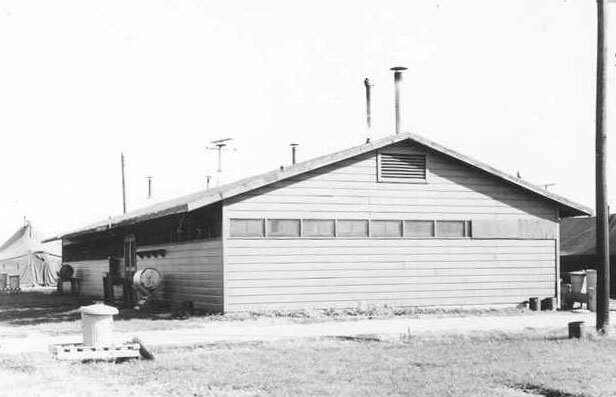 Building T-132 was the Base Commander's home, which was located in the middle of the airfield between the runways as seen in the April 11, 1960 photo on the right. Note the C-119G doing a run up on the runway. The Base Commander had to call the tower to get clearance to drive on the runways to his house. The Base Commander's call sign was Blue One, according to former base commander Major General John Hoff. The last base commander to live in the house was Lt. Colonel Kenneth Powers. 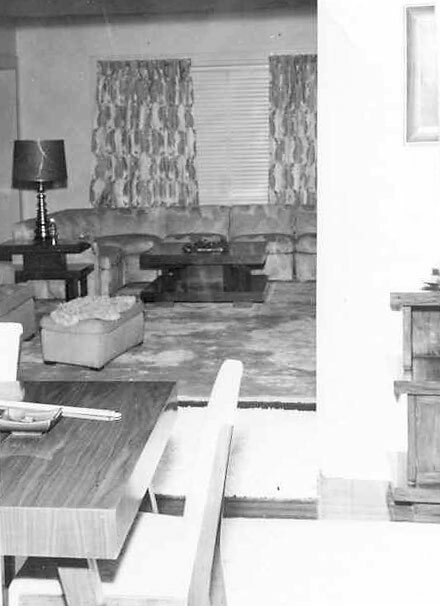 When Colonel Hoff assumed command of the base in July 1959, he did not move into the house. It was used for storage after that date. 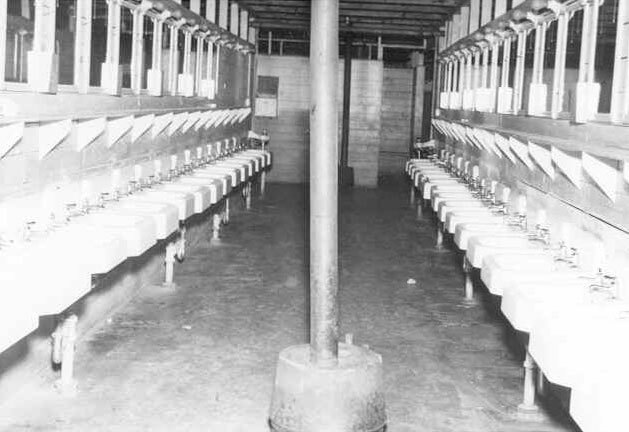 Building Type T30, T78, and T40 Sanitary Latrine interior view. Building T40 Sanitary Latrine. 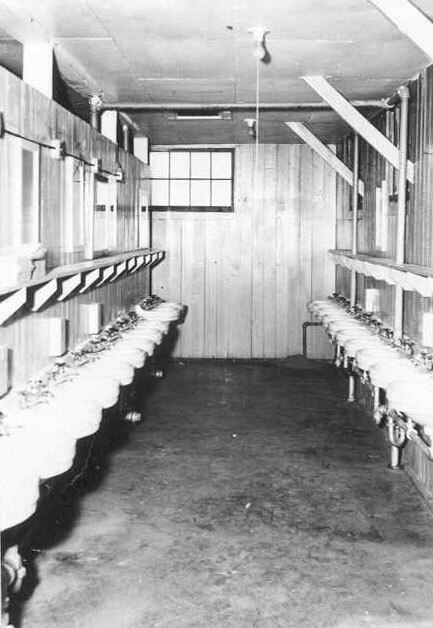 Note the troop tents on either side to the rear of the latrine. 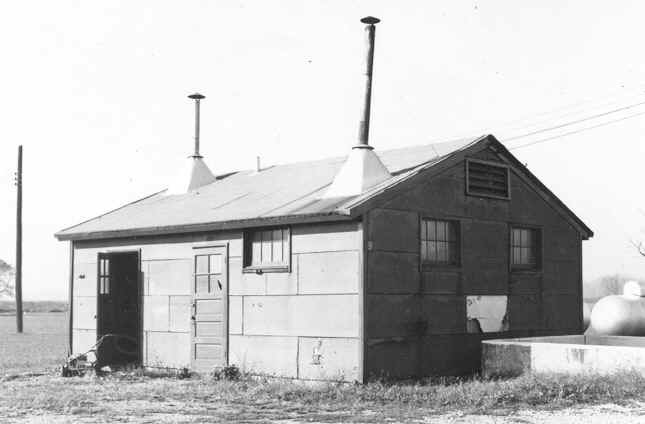 Building T-40 was one of the few remaining buildings which was located next to the Atterbury-Bakalar Air Museum. Building T-40 was torn down March 28, 2007. 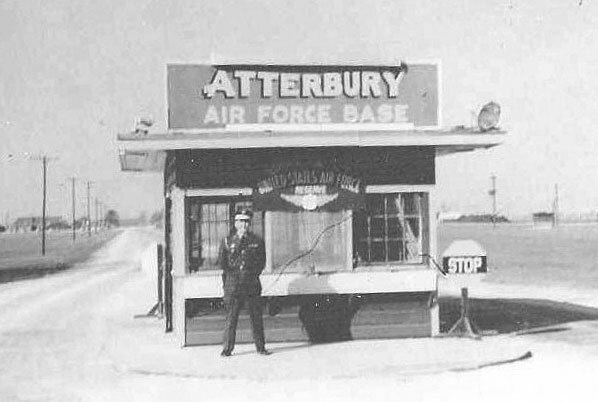 Were you stationed at Atterbury Army Air Field or Bakalar Air Force Base? 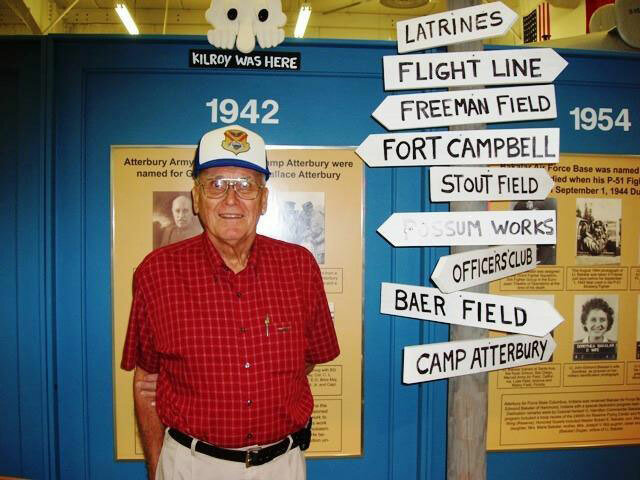 Do you have photos, personal stories, or memorabilia that you would share with the Atterbury-Bakalar Air Museum archives and displays?